Greetings from a beautifully sunny Thursday morning in New York City. Packing is well-underway and we’re now less than 24 hours from lift-off to London. We’ve checked in for our flight (isn’t it great how we can load our boarding passes into our mobiles? I just LOVE that. ), and we’re taking care of this ‘n that. Have to be up at 5:00 AM tomorrow to get ourselves out to the airport. 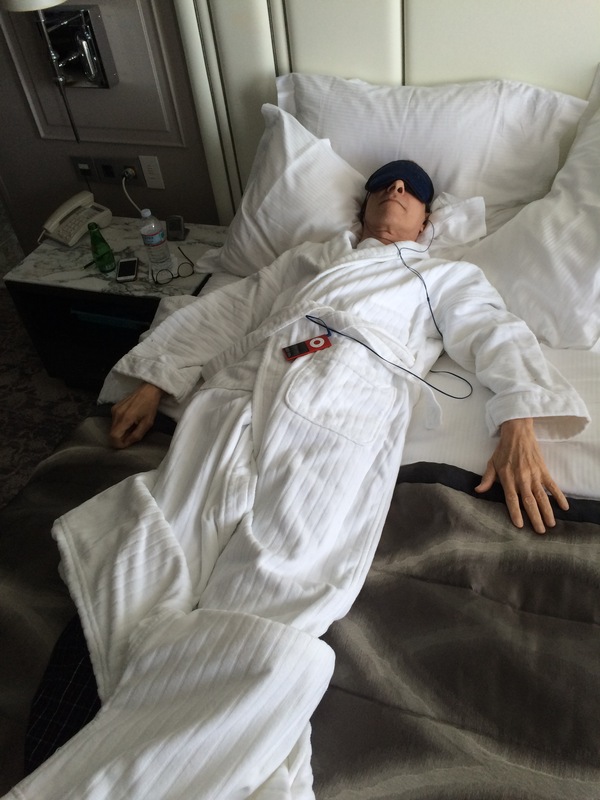 But it’s great to be able to take an AM flight to London so that we arrive in the evening, have a light dinner, hit the sheets and then hit the streets first thing on Saturday (our only day there, as it turns out). 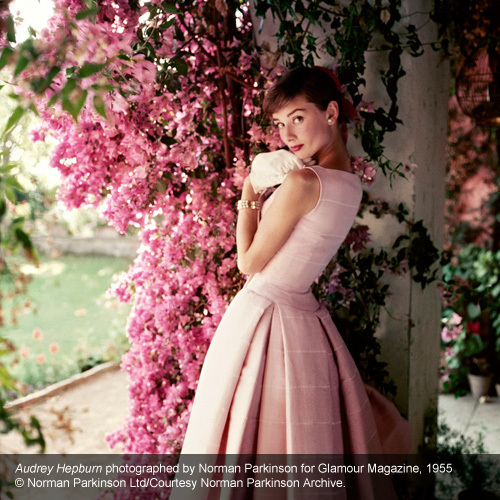 11:00 AM – We’re off and running to the National Portrait Gallery to see the “Audrey Hepburn: Portraits of an Icon” exhibit. For those of you who might be able to make it, the exhibit is on until October 18th. 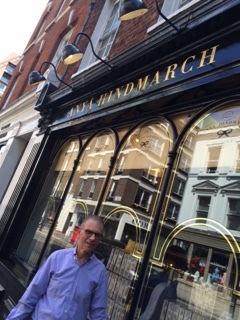 After a leisurely stroll through the exhibit, we’re hoping to have time to drop by Anya Hindmarch (the bespoke store only a stone’s throw from Harrods), where we did some shopping last May. I needed a new travel portfolio (long story short: we got the referral from the Concierge at the Peninsula Hotel in Paris, and he was SO right), and got a beautiful one there. This store is amazing, even just to walk through to see their merchandise. 1:30 PM – Lunch back at the hotel – Ting – with our dear friends, Lynne & Garry. They are a lovely couple we’ve sailed with aboard the Crystal ships on several occasions. We have so much fun with them and it’s always a pleasure to be in their company. 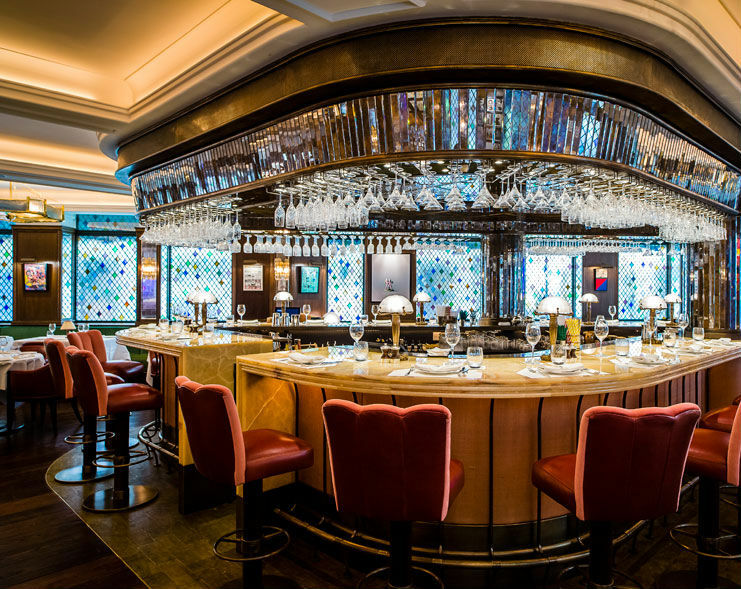 6:30 – Pre-Theatre cocktails at the Corinthia. The Bassoon Bar there is a must. I mentioned the other day that we’ve stayed at that property several times over the past few years. The hotel is perfectly placed: just 5 minutes from Trafalgar Square and the Strand and, in just a few minutes more, you’re on the West End. The bar is very snazzy. Last time we were there, the manager (who always makes sure we have a really good time), waltzed over to our table, and said (in a very low tone of voice): “Don’t look, but to your left – – – – – OPRAH!” And indeed, there she was. 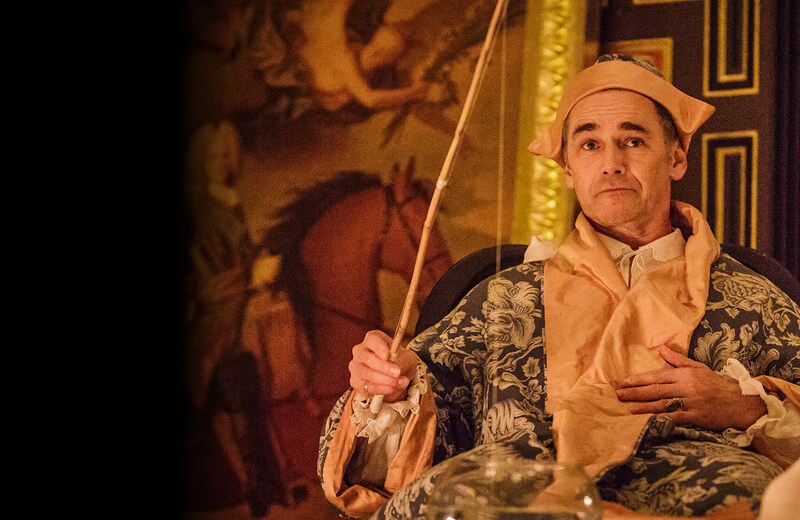 7:30 PM – Farinelli and the King, now in previews at the Duke of York’s Theatre. This is the West End engagement of a production which started at Shakespeare’s Globe and stars Mark Rylance as King Philip V of Spain. Mark Rylance is such a sensation that tickets to this production are impossible to obtain. I tried for months before getting lucky. (Persistance pays off.) This play is a cinch to transfer to Broadway, so keep an eye out for it. 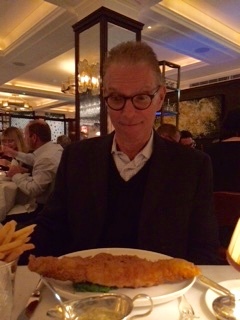 10:15 PM – Post supper at The Ivy. Who doesn’t love the Ivy, I ask? It’s been around for over 30 years and never fails to impress. The place closed down earlier this year for a complete renovation and we were there last Spring for its soft opening. The place is gorgeous, the service impeccable, and the food delicious, whether you’re enjoying a burger, a steak, or fish ‘n chips. I’d say it’s the go-to place in London for your post-theatre supper. And you never know who’s going to turn up. We’ll never forget the night many years ago when Princess Margaret was two tables away and having a “really good time”. Then there’s the time in 2012 when AAC CPA and I were shown to our table, and who turned up at the next table but the cast of Sweeney Todd, which we’d just seen. 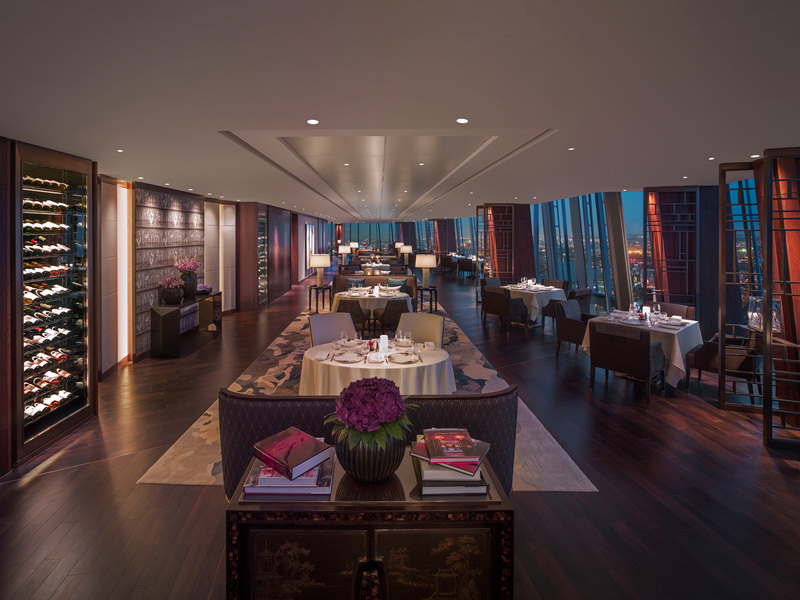 The Ivy is a place you should try at least once. And that’s our planned whirlwind day in London on Saturday. I figured that I should post it now as I may not have time when we’re actually there and doing it.